The government will not extend the tenure of Accord and Alliance as the Remediation Coordination Cell (RCC) is capable of running inspection and monitoring of workplace safety in garment factories, said state minister for labour and employment. In May last year, the RCC was set up through the collaboration of the Bangladesh government, the Bangladesh Garment Manufacturers and Exporters Association, and the Bangladesh Knitwear Manufacturers and Exporters Association, with technical support from International Labour Organisation.“I can challenge that the RCC is very much capable of monitoring the progress of the remediation of factory buildings,” said Md Mujibul Haque. He spoke at a media briefing at the Hotel Purbani in Dhaka yesterday. He said the government has already recruited 130 inspectors to run the cell, which will work as the permanent body for the inspection of workplace safety. 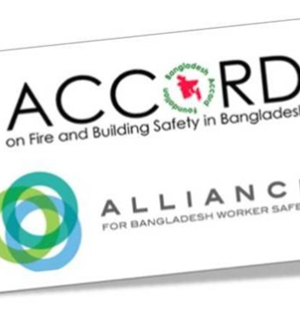 In 2013, the Accord, a platform of mainly European retailers and brands, and the Alliance, a platform of North American buyers and retailers, were formed to inspect and remediate the loopholes of structural, fire and electrical safety at garment factories in the aftermath of the Rana Plaza building collapse. The Bangladesh Accord on Fire and Building Safety has already applied to the government seeking extension of the tenure for continuation of the remediation work.“But, we will not extend it anymore,” Haque said. The government has extended the tenure of the Accord and the Alliance for Bangladesh Worker Safety for six months so that they can take preparations for departure from the country. As per the decision, the buyer-driven groups will be able to run their operations in the country up to December 31 this year.So far, more than 90 percent remediation works of 2,559 factories affiliated with the Accord and the Alliance have been completed, Haque said, adding that 755 factories have completed all kinds of remediation. The government itself is inspecting an additional 1,549 factories, mainly small- and medium-sized.